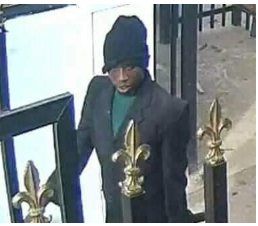 A twitter user has identified one of the Offa robbers whose picture was gotten from the CCTV footage as an ex police officer. According to the handle @Ayekooto, it is alleged that the suspect is one Michael Adikwu. ”Ofa Bank Massacre!! Picture below is Michael Adikwu, an ex police constable who in Ilorin, 2012, was dismissed from the Force after being tried for misconduct. He was part of the Offa bank robbers caught in the ongoing police arrests of suspects involved in the robbery”.